As we have said in the past, even if Karl Marx was the leader of the imperialist Labour Party, it would not be a workers’ party. Likewise, the CPB’s Britain’s Road to Socialism is a reformist document that represented the revisionism and opportunism that led to the demise of the original Communist Party of Great Britian, who decided to liquidate themselves after the collapse of the USSR. From the CPB’s Big Red Appeal in 2016. Takeaway message: join Labour! 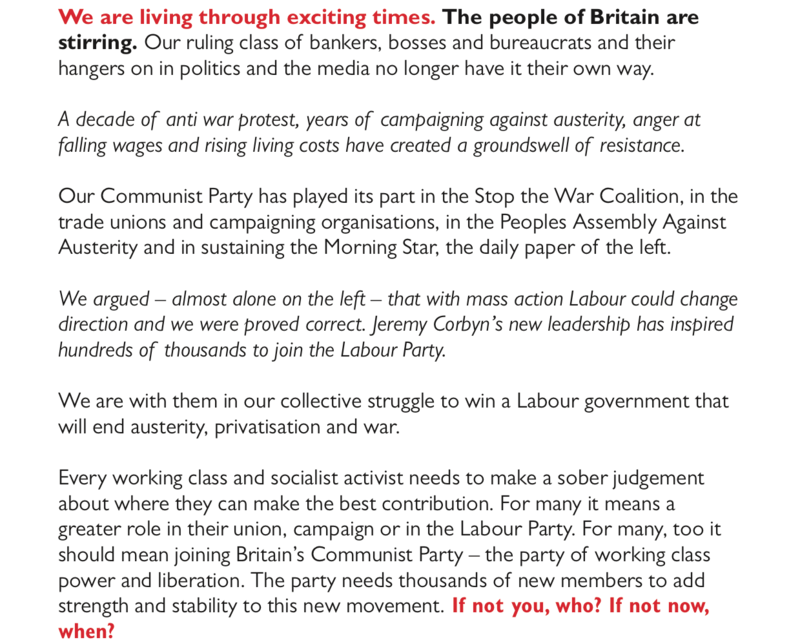 The CPB desparately tries to claim that they are part of a mass movement of trade unions and the Labour Party, and that this movement is militant and socialist. In reality the majority of trade unions are led by the labour aristocracy who seek to divert and diffuse working class struggle as has been seen throughout history, including the 1926 general strike, the 1984-85 miners’ strike, and more recently the betrayal of the RMT by ASLEF, who accepted a massive 28% pay rise to duck out of the struggle against driver only operation on trains. The record of the Labour Party speaks for itself, having launched wars of imperialism abroad and attacks on the working class at home throughout its existence. It is a crucial and fundamental misunderstanding that social-democracy and reformism are things that a communist party should be espousing. We can, and do, support reforms while not supporting reformism, however our message must always be clear: reforming capitalism will not be a victory for the working class, it will be an attempt by our ruling class to subvert revolutionary sentiments and movements growing within the working class. 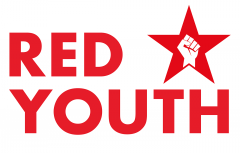 Promoting the idea that a Labour government will end austerity, privatisation, and war, when these are things that Jeremy Corbyn and his team have made clear that they are not going to do (nor would they be able to do so under capitalism, which they are beginning to realise) is criminal, and objectively serves the ruling class. Next Next post: Hands off Syria!